Graphein is a work entirely made of pencils and paper sounds. It was at first conceived for an audio-visual project with Delphine Depres (where she did images only with.. pencils and paper, [link]). The basic idea was to explore a material and its sonic capabilities. The idea was to dig into the object (in that case pencils) and transform its sonic properties (as a raw material) into a poetic version of it. The basic idea tends to be something extremely basic and understandable and yet the outcome arose as something extremely abstract and disattached from its source. Compositionally D’Incise built a series of infinite loops or textures to create layers of steadiness or what he calls “sound states”. On the performance level there is no other action than the “next” button option. According to his words, the system by itself relays on the sense of time and the author’s own perception of boredom. Changes will occur only between the different “sound states” or textures or loops, and the change between them becomes the only possible action for the performer. This piece is mainly a conceptual work, the poetics of the piece relay on the use of time: how this is relativised by looping what can be heard as textures, and also by the use of just one single element to construct such a disattached from the source acoustic world. Apart from those considerations, Graphein has certain warmth produced by the low frequencies and the subtle tickling that embellishes the whole work. Beyond the scope of the conceptual background of the work, one can cuddle their ears to that “sound state” and stay there for as long as you wish. The album comes in two versions. A Stereo one and a 4-channel Version. Produced and arranged by D'Incise in 2011. 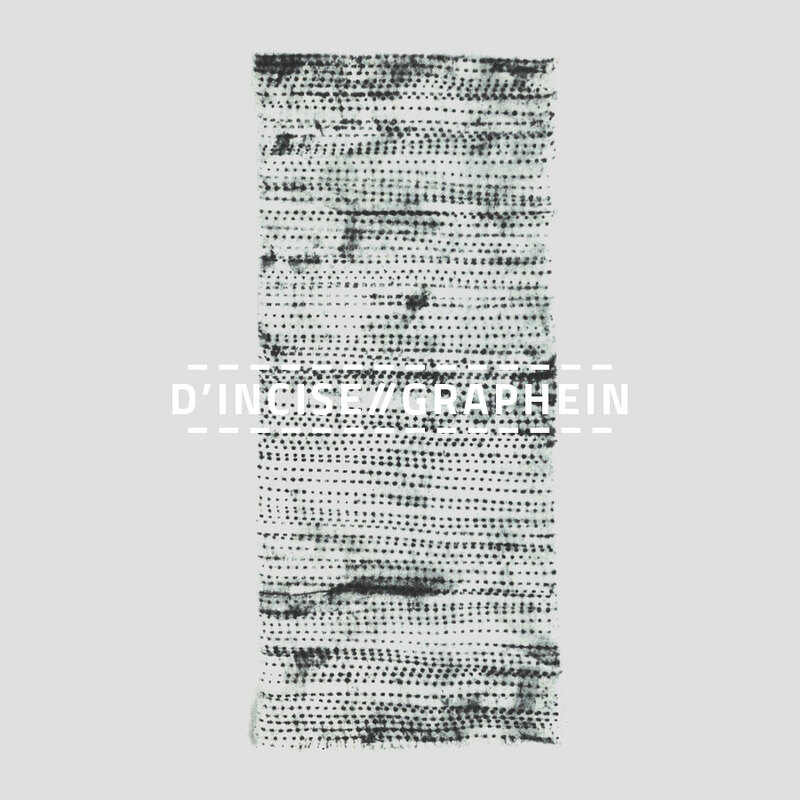 Graphein by D'Incise is licensed under a Creative Commons Reconocimiento-NoComercial-CompartirIgual 4.0 Internacional License. Creado a partir de la obra en https://archive.org/details/at070PacoRossique.